Please complete the online registration form at the bottom of this page thoroughly and follow all guidelines (below) to ensure each child is properly registered for clothing and school supplies. Use the links along the side to download any forms and necessary information before you register your students online. Students will receive the size as measured at the Distribution event. If students receive incorrect sizes, you are asked to make exchanges within the school clothing closet. Watch your email for updates, registration summaries, questions, and information. Be sure to print out the final school summary once all of your students are registered. You’ll need to bring your list of registered students to the event in July. Maricopa Community-based Dental Clinics/Services – Use this sheet if your child needs a follow-up dental referral. Download Guidelines for Working with Children Here. School Coordinators: Please review for details on the New Clothes New Beginnings Summer Distribution Event. 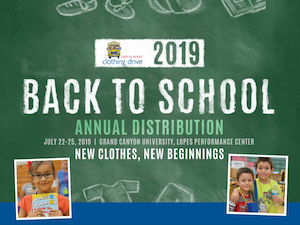 To participate in “New Clothes, New Beginnings” Distribution, students must attend a Title I public elementary school and participate in the school’s free or reduced lunch program. * Other designated students in approved partner organizations may also participate. Children must be between 5 and 12 years old. Children must be entering kindergarten and must be rising 6th graders (entering 6th grade at start of school year, not exiting). You will be required to confirm on the registration form stating you have read and understand these requirements and that each child attending meets the criteria. * Note: In order for Back to School Clothing Drive to receive its funding, it is imperative that only students who are NSLP (school lunch) qualified or below the 150% Federal Poverty Level participate in this event. Therefore it is incumbent on you to carefully select children that meet this requirement. Register the children with the greatest need and most likely to participate. Arrange bus transportation through your school or district to get your students to Distribution. 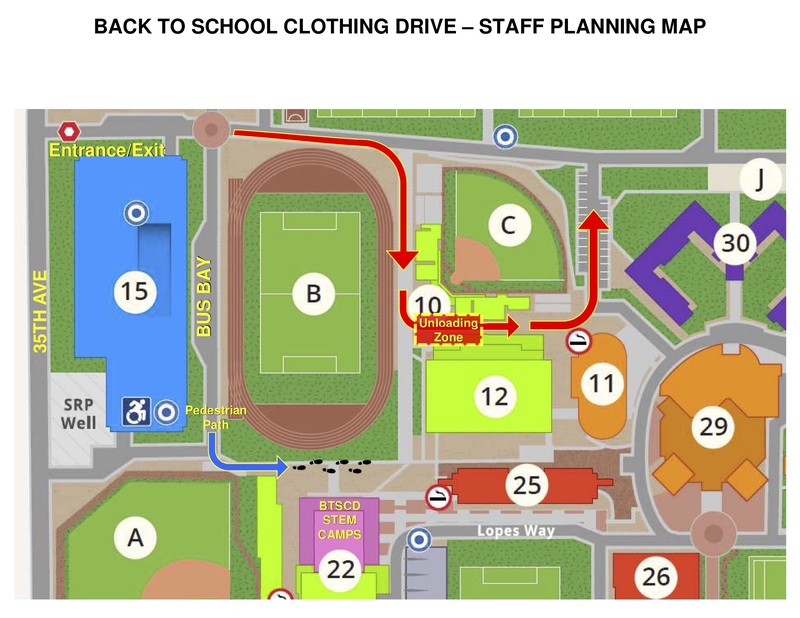 Explain to parents exactly what clothes and supplies children will get at the event. Each child receives two (2) polo shirts in their school color, two (2) shorts (Khaki or Navy school color), one (1) backpack filled with school supplies, one (1) pair of sneakers, three (3) pairs of socks, one (1) sweatshirt, three (3) pairs of underwear, one (1) dental hygiene kit with toothbrush, floss, toothpaste, one (1) belt, and several handmade accessory items from our Stitches of Love group. Total estimated value of clothing provided each student is $350. Send reminders to each family – or make phone calls or home visits – ensure all registered children come to the event. All children are measured for sizing at the event and distributed clothing accordingly. If changes are required later, you are asked to exchange sizes within your school clothing closet. If your school does not have one, please contact BTSCD to discuss creating one. You may notify us in advance if any of your participating students have special size requirements or religious practices that dictate a particular form of dress. In order to ensure the safe participation of all students, children with special needs including physical limitations and/or behavioral challenges (such as Autism, ADHD, etc.) should attend only if they do not require additional chaperones other than registered school chaperone(s). If you feel it is not in the child’s best interest or safety, then the school chaperone may walk through and receive merchandise and school supplies for that child and bring the items back to the school. Please ensure the dental consent form is provided to parents, signed, and returned. This day is for the children! Absolutely NO parents are allowed to attend Distribution – NO EXCEPTIONS! Parents will be asked to leave. If your school needs to bring parents as chaperones, they must *not* be related to any of the participating students. Some foster care programs will be invited to participate. In the event those children must be transported by the foster families and not as a group, the foster parents will be asked to wait in the stadium seating until the children are finished with the activity. Nonprofit and/or social service partners who receive clothes must have children with them. Case workers or counselors may not shop for children. Children must attend Distribution in order to receive clothing and other items. There will NOT be ANY exceptions made for sleeping in, illness, being out of town, etc. It is imperative parents understand the importance of remembering the date and time their child(ren) need(s) to be at school to take the bus to Distribution. Parents are not allowed to drop child off at the event (Foster Care program children are handled separately), should he or she miss the bus. Students arrive by bus. Parents must return the signed dental consent form to receive the dental screening. Please ensure the students brings their forms with them to the event. Your school’s allotted number of students is pre-loaded in the school profile connected to your registration. If you want to register more students, first complete your initial allocation, then you may request more. If you did not receive an email with this information, contact your district representative. Siblings should be registered individually. Upon arrival at the event, children should be grouped with siblings before proceeding to registration tables, if necessary. Children must be bussed as a group to and from the event – NO EXCEPTIONS! Once again, they may NOT be dropped off by parents or arrive at the event separately. No more than two chaperones per school are allowed. Bus drivers can wait in the designated Bus Driver area. Make sure ALL of your students are on the bus before you depart from the event. Please plan on a minimum of three hours total for the bus requirements. 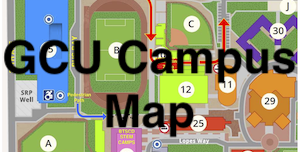 Students participating in the STEM camp must be picked up from the arena by parents at the designated time. BTSCD will provide snacks, lunches, and water for the students. Chaperones will meet their students in the designated lunch area where students will eat lunch prior to departing the arena. We do our best to stay on schedule and serve your school within the time period assigned. Specific time on site is dependent on a number of variables so additional time should be factored into your planning. Plan to arrive 15 minutes before your scheduled time. Total estimated time on campus is three hours. Please plan your transportation accordingly. All children must wear name tags. Write the name of your school & school district, as well as the child’s first name on each name tag. Please add the coordinator’s phone number. For students receiving dental screening, please ensure the students brings their forms with them. The form will be placed in the student’s lanyard. Again, Please Note: Successful management of such a significant number of children requires complete compliance with our procedures. Children exit the bus and enter the arena, where a volunteer will take them to a designated seating area. After check in, the children wait until their number is called and then go into the store to “shop” for their clothes (our volunteers will guide them through this process). After the children receive clothes and school supplies, volunteers will walk them back to a designated seating area. Once your group has completed Distribution you can load them back on the bus. It is your responsibility to keep track of your students while they wait and to ensure all children have completed Distribution and are sitting together before leaving. A sign will be provided to you to aid in this process. Grand Canyon University (GCU) Security – Due to enhanced security protocols, all volunteers, students, and anyone participating in the event must go through a security checkpoint and metal detectors prior to entering the Arena. Please do not bring items that may be of security concern to the event. Contact us immediately if your school decides not to participate or if you need fewer slots. Please stand by the registration table when your school checks in to help with any questions that may arise. Designate someone who can serve as your back-up in case you’re unable to follow through with these responsibilities. Enter your school and student information to the website no later than April 30, 2018. Thank you for participating in New Clothes, New Beginnings Distribution!